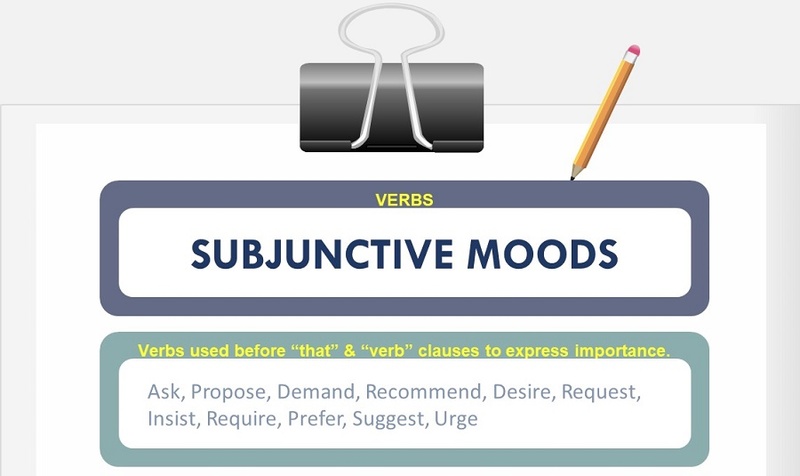 Subjunctive mood is used to express something that is not a real situation. These are wishes and hypothetical situations. If a verb expresses such kind of situation, it is called a subjunctive verb. Now we see all those conditions or situations with the help of examples. 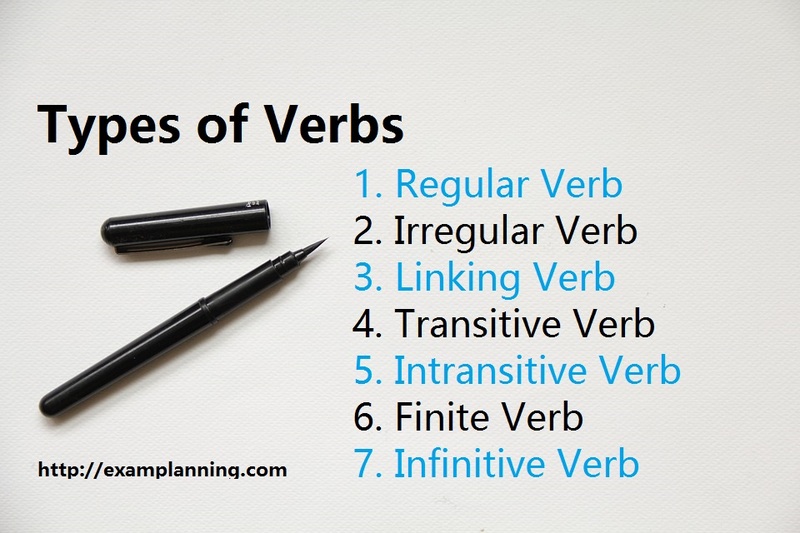 Following verbs are used before “that” and the “verb” clauses to express importance. Keep the following rules in mind while making a sentence. Don’t use “present” or “past” tense verb instead of a “verb word”. Don’t use “modal” before the “verb word”. The verb “insist” may be used in non-subjunctive patters in the past tense. I suggested her that she will work hard. I suggested her that she work hard. I proposed that the vote is secret ballet. I proposed that the vote be secret ballot. I insisted that she would give proper time to studies. I insisted that she give proper time to studies. The nouns such as demand, recommendation, insistence, request, preference, requirement, proposal, suggestion are derived from subjunctive verbs and are used likewise as described earlier. You may note that the adjectives like essential, imperative, important and necessary are used in impersonal expressions. These adjectives must be introduced with the sentence starting with “it”. Avoid using “present tense verb” instead of “verb word” and using “modal” before “verb word”. It is important to do it now. It is necessary to justify your statement. It is + adjective + that + subject + verb word + …. It is + important + that + it + be + done now. It is + necessary + that + your statement + be + justified. It is necessary that you are on time. It is necessary to be on time. It is important that I must speak to her instantly. It is important to speak to her immediately OR It is important that I speak to her immediately. Note that “an infinitive” can express purpose. It is a short form of “in order to”. Avoid expressing purpose without the word “to” in the infinitive. Avoid using “for” instead of “to”. I + take + tablets + to get + better. Wait until April to get the payment. I always work hard to meet my expenses. War light dresses to avoid heat. Note that “a passive infinitive” can be used with present form of the “be verb” to express a future intention. Passive infinitive can be used with the past of “be” to express an intention that was not realized in the past. 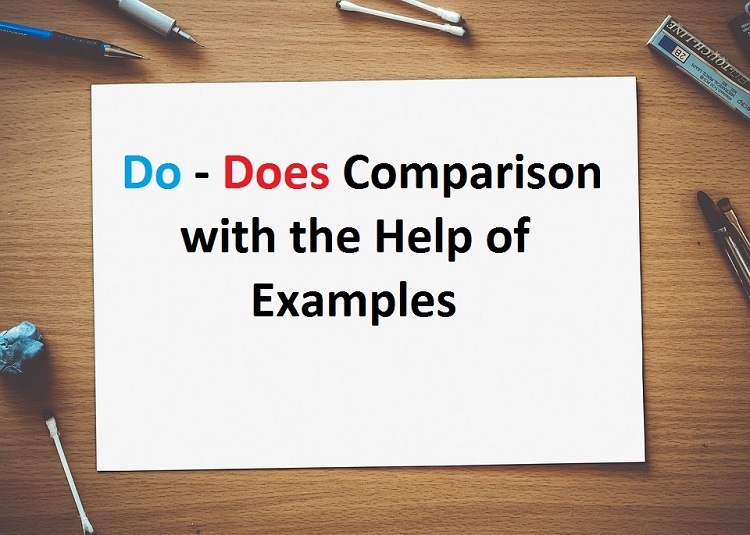 “To” or “be” is used with participle and “to be” is used instead of “verb word”. The course + is + to be + completed + by 2021. The course + was + to be + completed + by 2021. The result of the exam to be announced tomorrow. The plates are to be collected. The anticipatory “it” clause expresses “belief” or “knowledge”. Anticipatory means “before”. Some “it” clauses that go before main clauses are given here. Anticipatory + that + subject + verb +…. It is believed + that + all men + need + love. It is thought that he was killed in an accident. It is thought that novel is a new genre in literature. The “raise” is a transitive verb. It takes a complement. Whereas “rise” is an intransitive verb; it doesn’t take complement. “To raise” means to move to a higher place or to cause to rise. “To rise” means to go up or to increase. Raise and rise are also used as nouns. “A raise” means “an increase in salary”. “A rise” means “an increase in price, work, degree or quantity”. The cost of living has risen to 5 percent. The flag is raised on many buildings on Independence Day. Their house sits on a hill overlooking a lake. Tayib sat there waiting for us for two hours.